CONTEST NOW CLOSED! Read below to see who won and stay tuned for more contests! 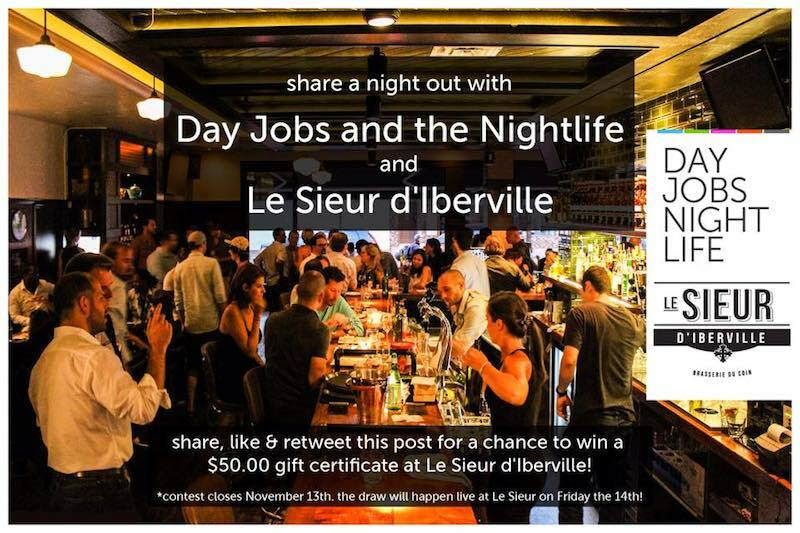 DJNL and Le Sieur d’Iberville have teamed up to give away $50.00 to one of our lucky follower! It’s easy to qualify! Read below for more details! 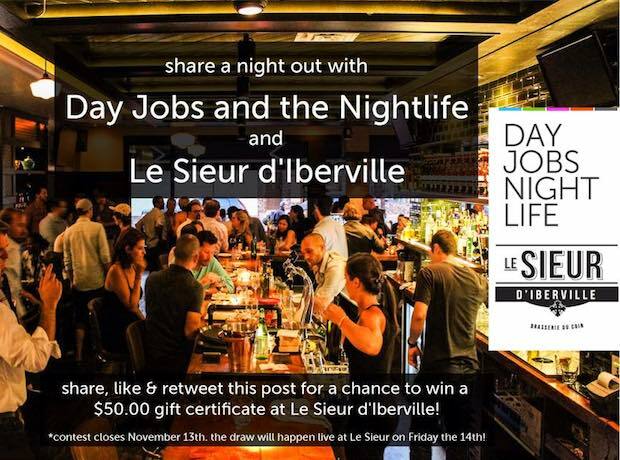 Like us on Facebook (liking both DJNL and Le Sieur d’Iberville means doubling your chances to win!) and share our contest flyer to be automatically entered! Click here to head over to Facebook! If you’re on Twitter, retweet our posts (again, following both of us means double tweets and more chances to win!) and you’re also entered! Follow this link to reach our twitter page. Our contest closes on Thursday, November 13th and the winner will be announced the next day. Share, like and retweet and you could be enjoying some delicious food at Le Sieur d’Iberville on us! Find out why we love Le Sieur d’Iberville, just click here! Our winner is Jean-François Côté ! Thank you all for your participation!